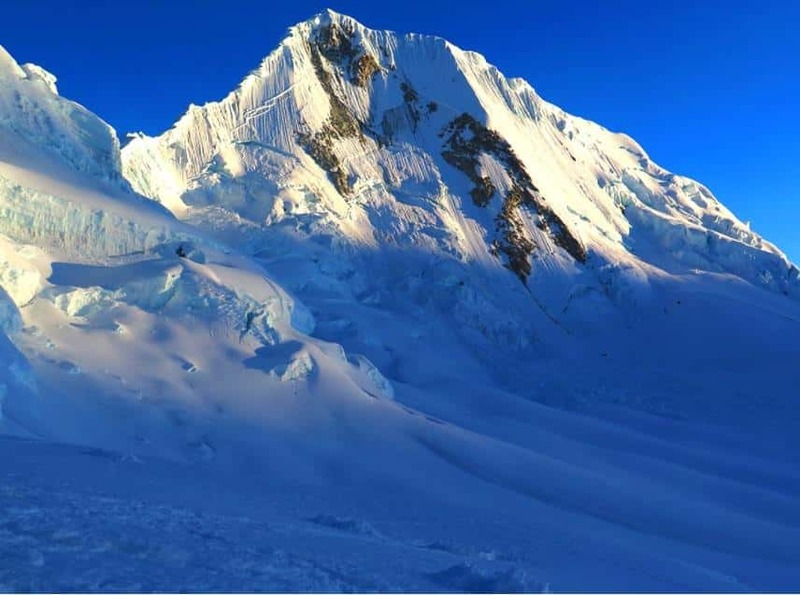 Let me guide you on a 2-week expedition to the peaks of Alpamayo (5,950m) and Quitaraju (6,200m). 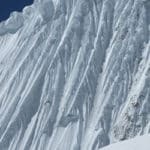 Climbers from all over the world venture to the Cordillera Blanca in Peru to climb Alpamayo and Quitaraju. They come to feel the jagged stone on their fingertips, while also breathing in the thin, frigid air. They come to hear the sound of their feet pressing down against the compacting snow, while also seeing a view so stunning, pictures just can’t do it justice. But this trek is a challenging one. Past experience is required. Alpamayo and Quitaraju will not be conquered easily. They will not just yield to your ambitions. They will test your will and they will test your skill. Hence the 15 day itinerary. But I promise you that every single day of our 2-weeks together will be one of adventure and awe. Besides the mighty mountains, you will see some truly amazing things. We will depart from Lima. From there it’s off to the city of Huaraz, where we will spend several nights. After that it’s 8 nights of camping in the mountains. Before finally returning to Huaraz and Lima. 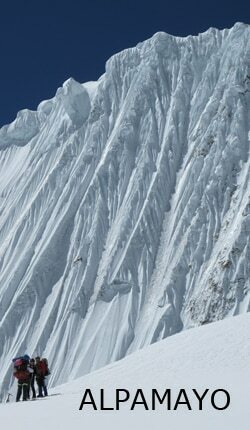 So join me on this once in a lifetime expedition to Alpamayo and Quitaraju. Where you will see such dreamlike views, you’ll feel as if you haven’t woken up until your last day! I will be awaiting your message. Also, if you are interested in a ski tour through the Chachani and Arequipa volcanoes, you can join me on this trip. Private pick-up at Lima Airport. Transfer to hotel for meal and sleep. Private transfer to bus station. First class bus ride to Huaraz, (approximately 8 hour trip). Check into hotel for the night. Orientation meeting in hotel. 4 hour acclimatization hike to Puka Ventana (red window). Return to hotel in Huaraz for the night. Approximately 5 hour hike to Laguna Churup. Return to hotel for the night. All day, technical glaciated climb up Huarapasca peak. Leaving at 3am and returning to hotel in Huaraz by 5:30pm for the night. Go to town of Cashapampa to load donkeys with gear and supplies. Camp near alpine lake. Arrive to base camp by mid-afternoon. Stay the night. Ascend steep moraine to camp for the night. Ascend to high camp located between Alpamayo and Quitaraju for the night. Depart from camp at 3am, climb steep summit wall to mountain summit. Camp for the night. Descend back to base camp for the night. Hike back to Cashapampa, returning to Huaraz around 4pm. Check back into hotel. Meet later in the evening for celebration feast. Departing Huaraz at 11am, reaching Lima International Airport or hotel by approximately 7:30pm. 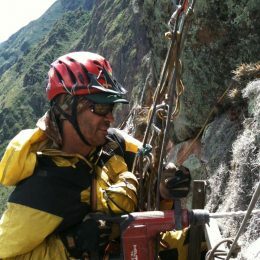 UIAGM/AGMP Mountain Guide from Peru. I've been a UIAGM guide since 1999, and have experience climbing and guiding along the Andes in Peru, Chile and Bolivia, and in the Alps. I'm also specialized in mountain photography and film-making. So contact me and I'll guide around the best of the Andes in Peru! Hiking - 3 days - Interm. 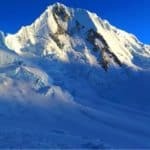 Mountaineering - 24 days - Interm.